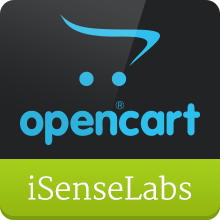 OpenCart 2.0.2.0 store for all purposes. OpenCart is a powerful and open-source e-commerce system, which allows you to set up a store in minutes. This is a default and pre-configured OpenCart installation with the standard theme and no extra modules. OpenCart 2.0.2.0 store for all purposes. OpenCart is a powerful and open-source e-commerce system, which allows you to set up a store in minutes. This is a default and pre-configured OpenCart installation with the standard theme and no extra modules. The setup is very straight-forward. All you need to do after initialization of the AMI instance is to visit your OpenCart admin panel to configure your OpenCart admin e-mail in order to get event notifications from your system.